Somehow gents and casinos just seem to fit. Take James Bond for example, the purest forms of a gentleman if we ever saw one; impeccable style, constantly witty and knows how he likes his martinis. It seems the great spy was also highly fond of casinos – Dr No, Thunderball, Goldeneye, Casino Royale – and always looked calm, cool and suave whilst sitting at a card table. 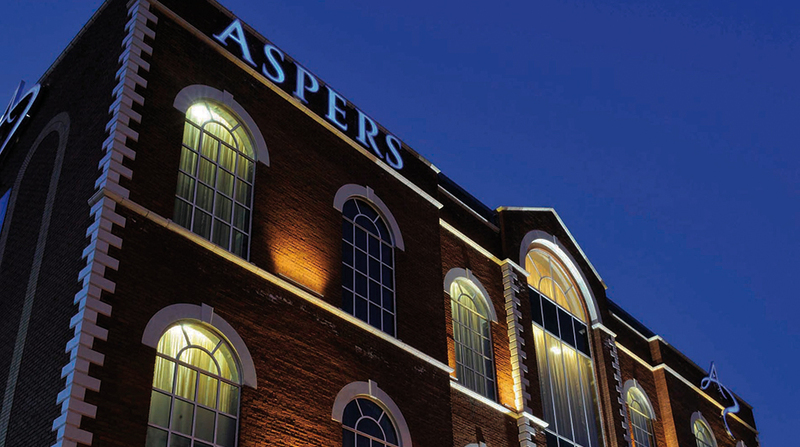 So the Northampton Gent team decided to take a trip to Northampton’s very own Aspers Casino to find out what the casino has to offer a gent with delusions of Bond grandeur. Open 24/7, the versatile two floor casino is found at the end of Commercial Street in the heart of the town centre and has set out to offer patrons more than the simple roulette spin, rather aiming to give visitors a full entertainment experience under one roof. Aspers features Clary’s Restaurant, a high quality restaurant which seems to never sleep; Tanzibar, a stylish bar found just off the gaming floor; and the gaming floor itself, filled with all the noise, excitement and energy a gent would expect from a bustling casino floor. To give a full review to find out if Aspers are offering gents the full entertainment package, we reviewed all three aspects of the Aspers’ experience. The restaurant is situated on the first floor of casino away from the busy gaming floor and is the only late night restaurant open in Northampton serving high quality food until 3am 7 days a week. The restaurant is a sleek, stylish space filled with long golden drapes and golden lighting soaking the room in luxury and glamour. It is quite the experience leaving the hustle and bustle of the casino ground floor with its noise, lights and excitement into such a refined environment and feels like you have been transported out of the casino and into a fine dining restaurant in London. 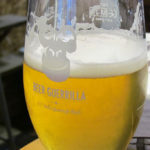 The menu is devised of a combination of simple, modern classics ranging from delicate scallops to ‘Hand Battered Giant Fish and Chips’ for the hungry gent out there. 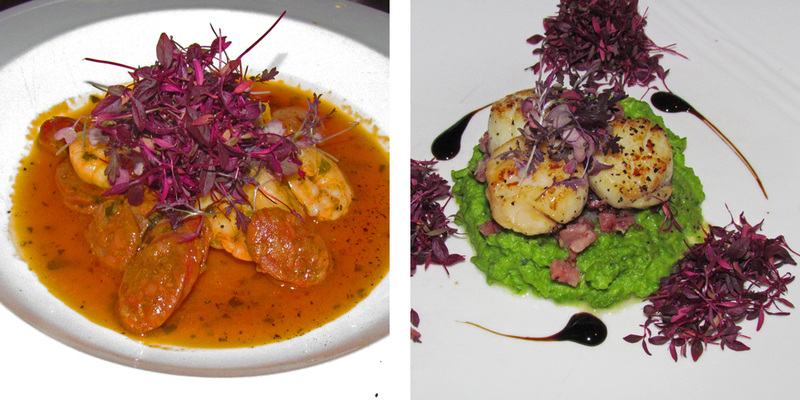 For starters, the team opted for ‘Seared Scallops on Pea Puree with honey glazed bacon and mint oil’ (£9.25) and ‘King Prawns with Chorizo Sausages sautéed in chilli, lime & coriander butter’ (£6.50). Getting Scallops right is a fine art and there is no worse sin than an overcooked scallop which becomes rubbery and tough. This was not the case at Aspers, as the scallops were seared perfectly, adding just enough brown to the outside without spoiling the delicate texture. The pea puree added a wonderful colour to the dish and worked well with the sweet honey glazed bacon – we are yet to find something that does not work well with bacon. The king prawns and chorizo were a triumph; spicy without being overpowering and with a peppery and slightly salty sauce that was a joy to soak up with the thick cut, white bread. As sophisticated urban carnivores, we know you want to know what the steaks at Clary’s restaurant are like. Clary’s meat is matured for 24 days before being seasoned with a select blend of black and Szechuan peppercorns and sea salt to add to the flavour. The team chose for the 16oz T-bone steak (medium rare) with peppercorn sauce, field mushroom, grilled tomato, herb butter and sautéed potatoes (£26.95) and Chef’s Fillet of Beef (medium) set on onion puree, mushroom sauce with seasoned sautéed potatoes and panache of fresh vegetables (£21.95). The steaks were an utter triumph. Cooked to perfection with a delicious chargrilled exterior and wonderfully tender and pink in the middle, the flavours of the Aspers rub enhanced the rich, beefy flavour of the meat. The team threw caution to the wind and indulged in dessert: A Trio of Luxury Mövenpick Ice Cream (£5.95) and a White Chocolate Crème Brulee (£5.25). The Ice Creams were rich, creamy and delicious, with a stand out being the lemon flavour which helped cleanse the palate after the steaks. The White Chocolate Crème Brulee hit the mark in terms of flavours. The only disappointment was the caramel which was too thick and hard to break which slightly overpowered the white chocolate. Overall, the meal was delicious – with the steaks truly standing out as something special – and we feel more than confident recommending it to you fine gents. Also, the casino runs a steak night every Tuesday where visitors can have a chargrilled steak, side and free £5 bet for £11. Our suggestion would be to give Clary’s a try then and take advantage of the offer. 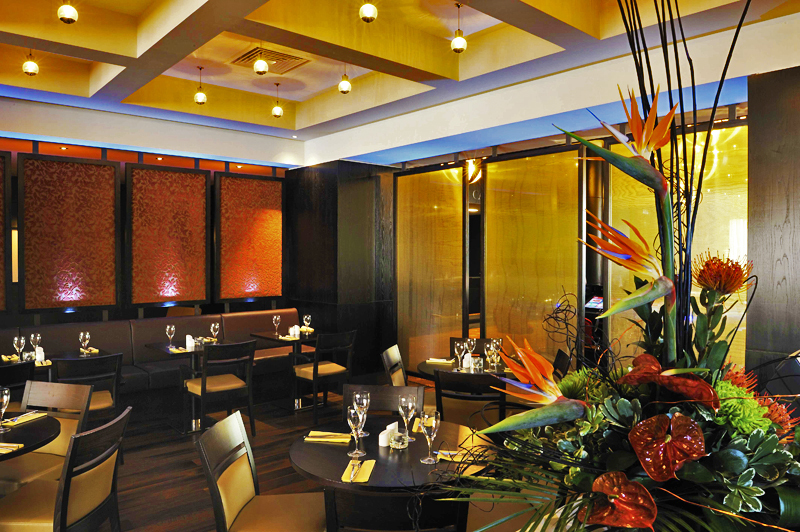 On to the second part of the triumvirate that is the Aspers Casino experience; the award winning Tanzibar. 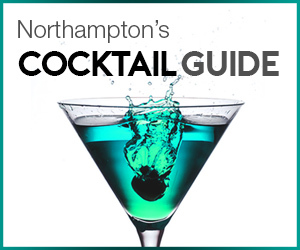 Having won Northampton’s ‘Best Bar None’ award for 2012, 2013 and being a runner-up in 2014, the contemporary and modern bar is found just past the gaming floor. 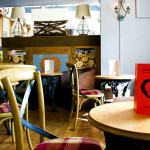 Serving a wide array of beers, ciders, wines, champagnes and cocktails, Tanzibar is the place where gents can live out of 007 aspirations and get hold of a good martini. The bar provides a relaxed space to chill out away from the energetic and hectic gaming floor with comfortable chairs and sofas, soft lighting and stylish, contemporary design. The centre piece of Tanzibar is its large, white bar and larger illuminated drinks display, showing off the vast selection of drinks behind the bar. It is in Tanzibar that many of the casino’s various events are held, from live performers to competitions and giveaways. As part of the Aspers Experience, the bar offers a cocktail masterclass package where visitors spend an hour learning invaluable tips and tricks from the master Tanzibar mixologists. As you gents know, we are extremely fond of our cocktails. So we decided to put Tanzibar and their cocktail masterclass to the gent test to find out if they could wow us with their creations and knowledge. We were not left disappointed. Our friendly and informative cocktail pro Stephanie took us through the creation of three classics; a mojito, a ‘tanzi’ bramble and a cosmopolitan. Whilst we won’t reveal all the secrets shared with us, we learnt some incredible tips which we will let you in on. “Fresh is better. Synthetic tastes synthetic”: The bar only uses fresh fruit and herbs such as mint in their cocktails rather than flavoured substitutes. Synthetic tastes like lemon jif will impair the delicate flavours involved in many of the cocktails. As well as plenty of useful hints and tips, we learnt a lot about the origins and history of the cocktails. Overall the masterclass was entertaining and a lot of fun to enjoy with friends. At the end of the masterclass, the bar gives you the opportunity to put what you learnt to the test and create your own masterful concoction. In our case, the least said about our experiment the better. It would be impossible to try and live our James Bond aspirations without taking a trip to Aspers Casino’s gaming floor. The third and final segment of the review, the gaming floor is essentially the life and soul of the establishment. Loud, energetic and busy, it can seem somewhat intimidating to first time players. As with the restaurant and bar staff however, the gaming floor has a wonderful hospitality team who happily to spend their time helping beginners understand the rules, tables and games. Gent tip: On Aspers’ website, they have a section here which explains how to play each game which is useful for those who have never visited before. As we looked upon the busy room, there is an electricity in the air which makes it almost impossible not to get caught up in the atmosphere. The casino has a range of games on the floor to play, including electronic slot machines, live and electronic roulette, three card poker, Texas hold ‘em poker and blackjack. Anyone can enter the casino given that they are over the age of 18 without requiring membership; however membership for the casino is free with freeplay accumulated every time a customer users their loyalty card – plus a free £5 by pre-registering on the Aspers wesbite here. With flashbacks of various Bond casino scenes, we approached the various games. The electronic slots and electronic roulette are easiest to play and are a good way to ease into the experience before taking on the tables. It is the tables where we felt our adrenaline rushing and the most excitement. The games are fast paced and are interesting to watch, especially when someone makes a big win. The noise of people talking &laughing and dealers calling out last bets all create the thriving and vibrant environment. Gent tip: If you are planning on enjoying an evening at the casino, we would suggest having a budget in mind for how much you wish to play with on the gaming floor. This way, you can manage your expectations whether you win or lose. As the heart and soul of the casino, the gaming floor is great fun. We found the best aspect to be the blackjack and roulette table, where you can really share the thrill and experience with friends and other players. Whilst it can seem slightly intimidating at first, we found it easier to stand back and watch a few hands and spins to get a lay of the land before having a flutter. Aspers also run special Poker nights every Wednesday from 7pm especially for beginners and novices still finding their feet which are played for smaller stakes. Spending the evening at Aspers Casino, we were thoroughly impressed with the overall experience and more so surprised at the hidden gems tucked away in the actual establishment itself, such as Tanzibar and Clary’s restaurant. It is clear the casino goes out of its way to entertain its patrons and one of the aspects we found most impressive was just how friendly and helpful each and every member of staff were. As an overall experience, Aspers Casino has done a brilliant job creating various experiences that many can enjoy separately or as a package. 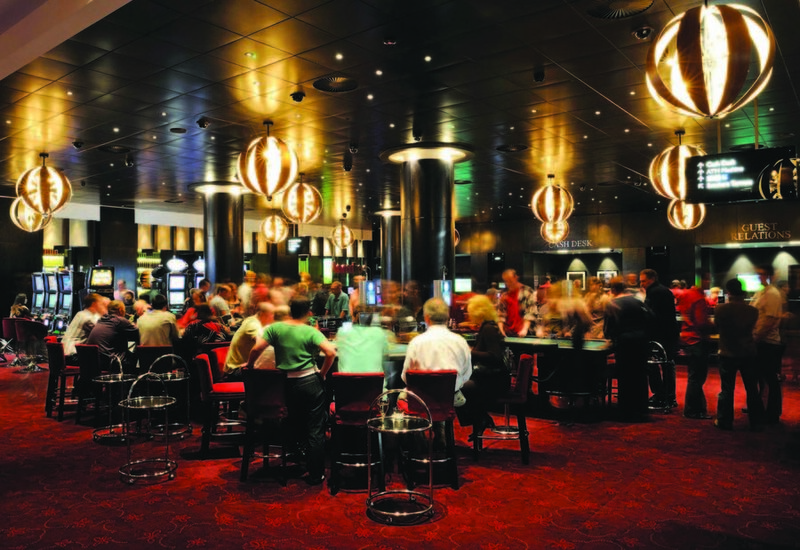 Whether it is enjoying a meal, having some cocktails or playing on the gaming floor, the casino gives gents an alternative to enjoying the bars and pubs on a weekend evening. There are lots of nightclubs from wherever you’ll have a excellent night-life in the area.